Build it up, build it up, build it higher - it's a wooden block roundup! 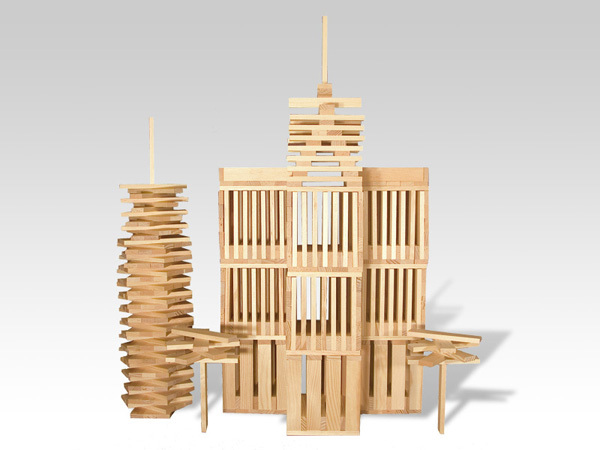 Build it up, build it up, build it higher – it’s a wooden block roundup! Being on the Babyology team there are a few things I see in abundance, one of them being wooden blocks – but let me be quick to say I never tire of seeing them, they’re always glorious, never the same and never, ever boring. Click on through to see some of our favourites! 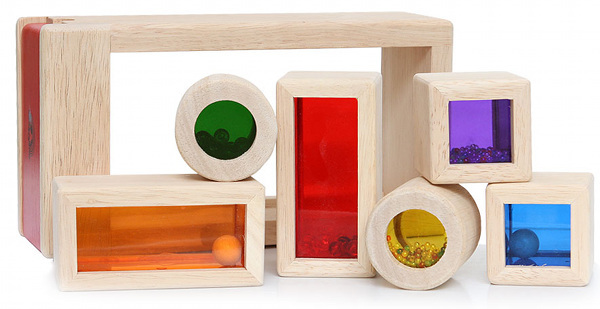 For babies and small children I adore the Rainbow Sound Blocks from Wonderworld, pictured above. Not only are they eco-friendly, they look amazing with their bright coloured acrylic windows and babies get a real kick out of shaking them to reveal their sound! If it’s blocks in a more traditional style that tickles your block building fancy, you will love the offerings from Uncle Goose. Available in separate upper case and lower case sets, you can even have yourself a classic alphabet set with pull along wagon for a true vintage vibe. What was that, a brightly coloured block I hear you request? 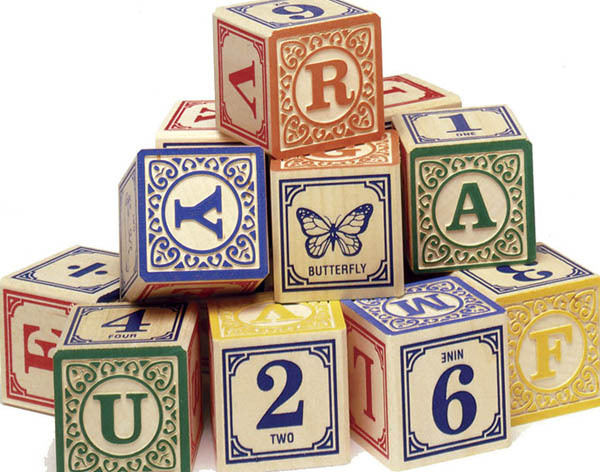 Well I’ve found one of those too – this gorgeous set of Upper and Lowercase Alphabet Blocks. 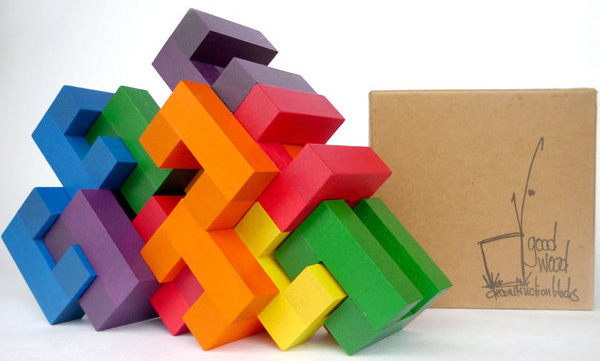 The set includes fourteen blocks in a no fuss, beautifully coloured modern design. 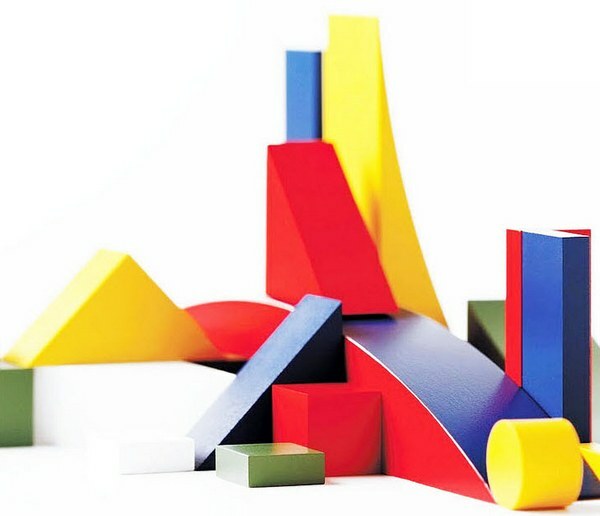 Stepping out of the square a little bit, we recently introduced you to Bauhaus Bauspiel Building Blocks. There are plenty of bridges and buildings to create (and be knocked down) with these primary coloured gems! Now it’s not just traditional building blocks we’ve found ourselves enamored by here at Babyology, we’ve discovered an absolute treasure trove of blocks that double as puzzles such as these magnificent Goodwood Deconstruction blocks from Aroundsquare Blocks. Perhaps my favourite blocks of all, are those that are from Miller Goodman. 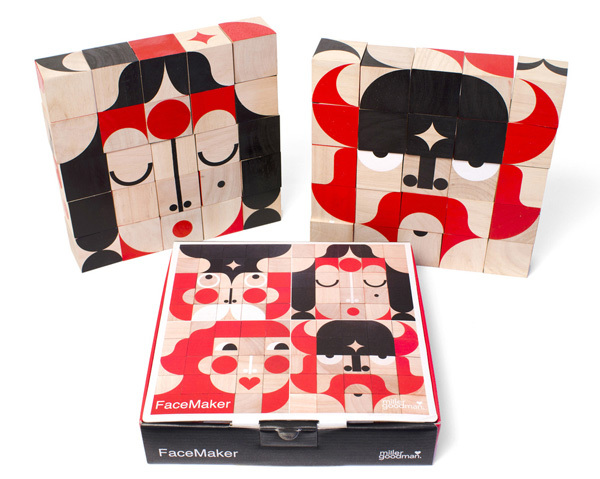 We’ve seen the amazing rubberwood ShapeMaker and PlayShapes sets, and recently we discovered the heavenly FaceMaker blocks. So many blocks and just so many options – your imagination is the limit! If your child loves a challenge, Citiblocs are a fantastic way to encourage imaginative building. Available in kits to suit all ages and building capabilities from beginners to the very advanced. 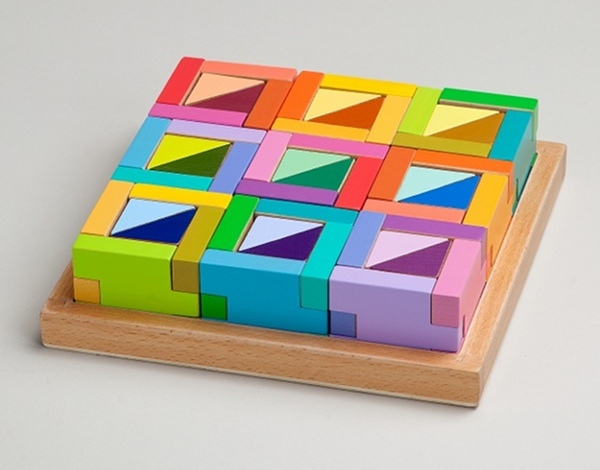 When I first laid my eyes upon these blocks from a small American toy company, Learning Materials Workshop, I was quick to pronounce them the most beautiful blocks I’d ever seen. I’m sure those superb hues would look as beautiful sprawled across the floor as they would neatly put away. If this roundup isn’t enough to whet your block appetite, be sure to have a dig through our archive of block posts!